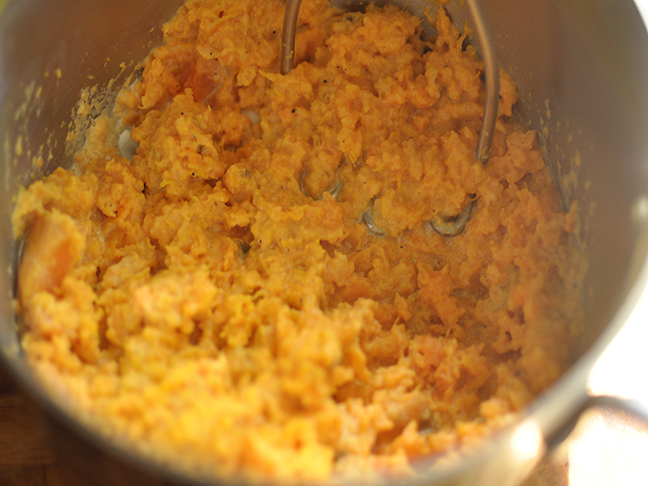 There are many variations on the classic shepherd's pie, each one as unique as its creator. There's something so wonderfully comforting and rustic about this classic dish. 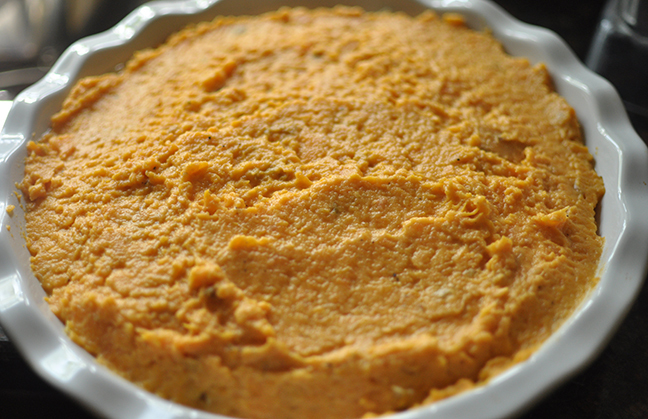 This version is made with low-fat ground turkey and sweet potato, making it a HEALTHY Shepherd's Pie recipe! 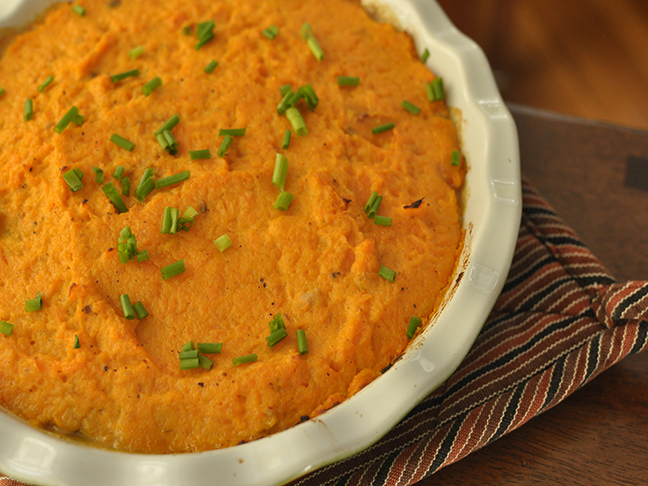 This sweet potato and turkey shepherd's pie is the perfect meal for a cold night, and it can be made up to three days in advance because it reheats beautifully. Serve it up with a side salad and you have yourself a winner! Step 1: Peel and cut potatoes into ½-inch dice. Place in a medium saucepan and cover with cold water. Set over high heat and bring to a boil. 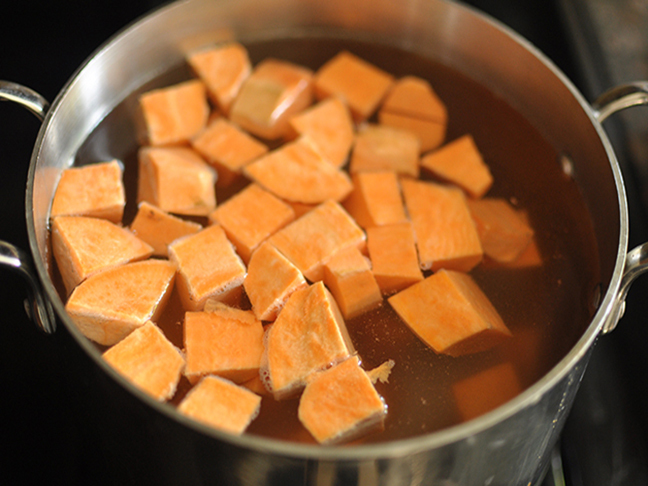 Once boiling, decrease heat and simmer until fork tender. Drain potatoes and then return to saucepan. Mash potatoes and add in milk, butter, and salt and pepper. Mash until smooth and set aside. Step 2: Preheat oven to 400 degrees. 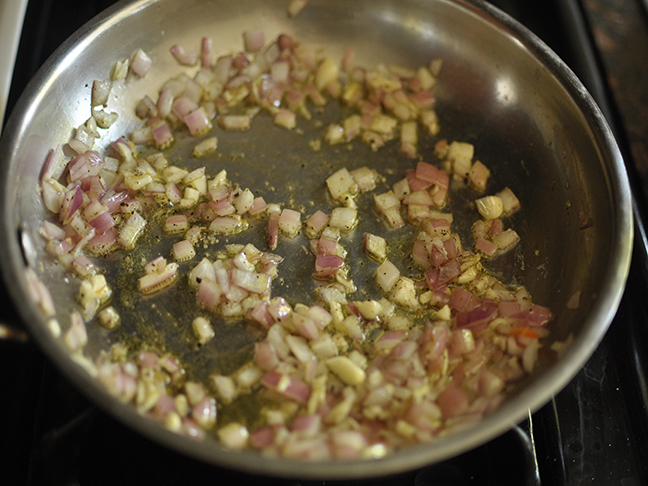 Place olive oil into a large skillet over medium high heat. 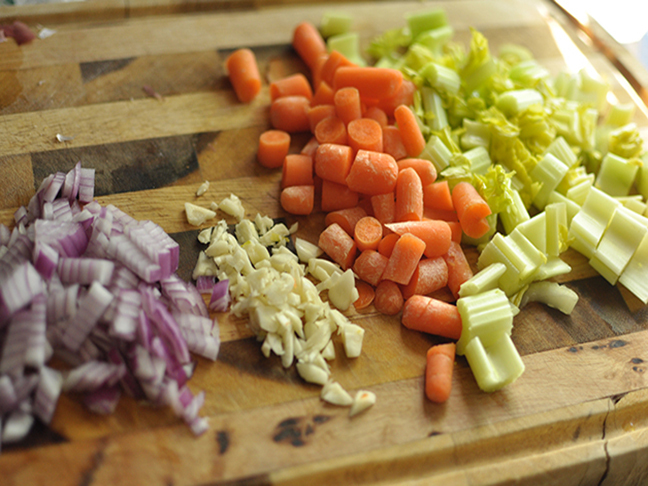 Add onion, garlic, salt, and pepper and cook for a 2--3 minutes before adding in carrots and celery. Sautee until vegetables begin to soften, about 5 minutes. 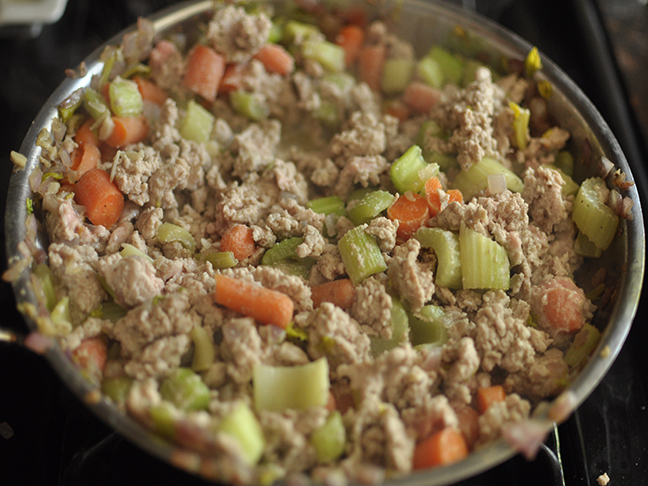 Add in the ground turkey and cook for approximately 6 minutes or until turkey is no longer pink. 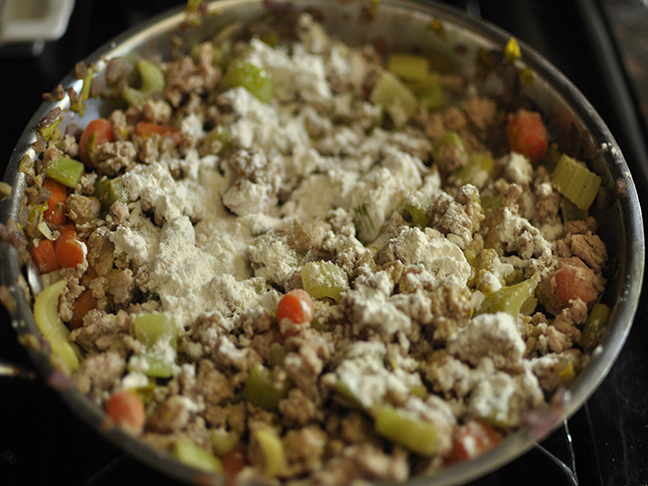 Step 3: Sprinkle the meat with flour and toss to coat, cooking for approximately 1 minute. 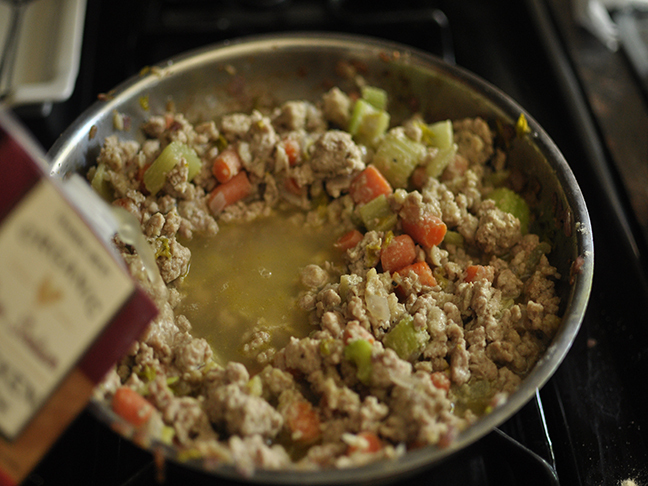 Add in the Worcestershire sauce and chicken stock and stir to combine. Bring to a boil, then reduce heat to low. 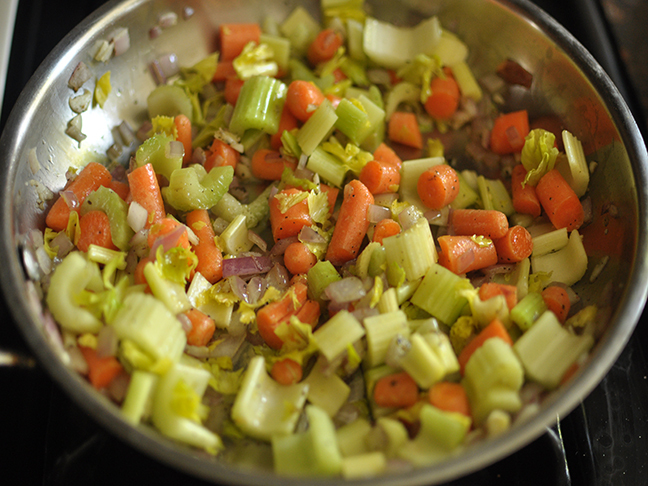 Simmer for 8 minutes or until the sauce begins to reduce and thicken. Step 4: Pour mixture into a 9-inch deep pie plate and top evenly with potatoes. Bake for 20 minutes. Remove from oven and allow to cook for about 5 minutes before serving.